Think 9 months of morning sickness and swollen ankles sounds rough? Imagine being pregnant for 4 years. 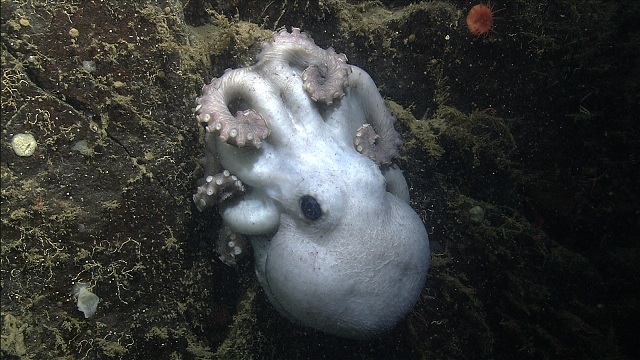 In a new study published today, researchers from the Monterey Bay Aquarium Research Institute report a deep-sea octopus that tends its eggs for a mind-numbing 53 months. During her 53-month brooding period, the mother continually kept her eggs free from silt and protected them from predators. 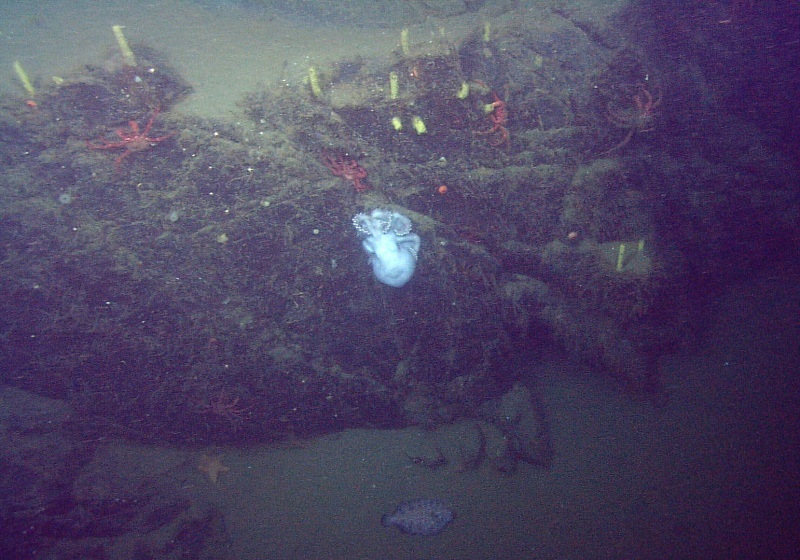 The researchers discovered the female octopus during a routine deep-sea survey of Monterey Canyon in 2007. Using a remotely operated vehicle, they watched her brood a clutch of approximately 160 eggs nearly a mile below the ocean’s surface. Although brooding females of this species (Graneledone boreopacifica) had been observed in the past, this was the first time the researchers witnessed the entire event from start to finish. Over the next four-and-a-half years, the researchers visited the nursery 18 times. They watched as her translucent eggs grew larger, miniature cephalopods taking shape inside. The empty egg cases found in 2011. Because the youngsters had so long to develop, they were able to swim and hunt soon after hatching, increasing their odds of survival. But they never saw the mother leave her clutch. “As far as we know, she sat there and didn’t move,” said Seibel. And they never saw her eat. The mother’s health slowly declined — she lost weight, her skin became slack and pale (by octopus standards), and her eyes grew cloudy. Finally, on a visit late in 2011, the octopus was gone. 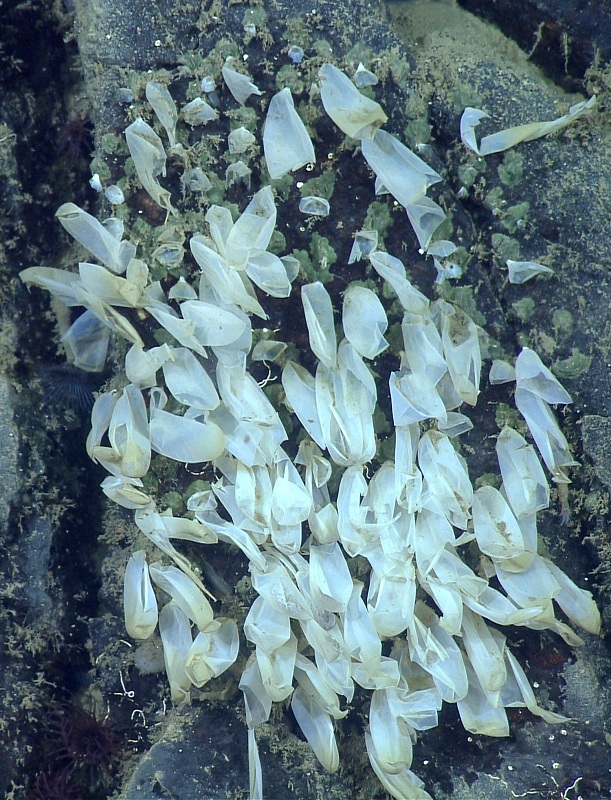 Only tattered egg casings remained. It’s typical for female octopuses to sacrifice themselves for their offspring, hardly eating as they tend and protect their eggs. But being able to survive for more than four years without food is an impressive feat even among cephalopods. The previous egg-brooding record, set by Bathypolypus arcticus, was a mere 14 months. The extreme 53-month brooding period gives the baby octopuses a competitive advantage. They hatch as tiny adults and are more capable of hunting and surviving in the deep ocean. But how the mother survives for so long remains something of a mystery.